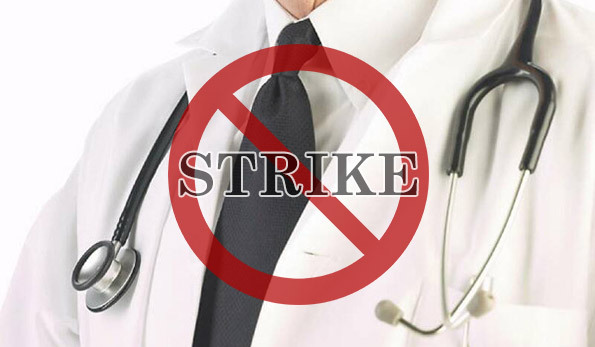 The central committee of the Government Medical Officers’ Association (GMOA) has given consent to launch a continuous strike. Accordingly, the GMOA will be launching the continuous strike from Wednesday (05) onwards. Representatives of the Association informed the media of the impending strike during a media briefing which was held in Colombo today (03). The GMOA stated that despite President Sirisena’s attempts to solve the SAITM issue, actions of certain ministers had rendered the efforts inefficient, as a result of which, the GMOA had been forced to resort to continuous strike action. They added that more information regarding the strike would be revealed within the next 24 hours. senaratne is no more honorable than the very doctors he is expected to serve. SENARATNE IS THE ONE EYED MAN IN THE LAND OF THE BLIND. he knows no more of the parliamentry procedures no more than he would know of detistry he is supposed to have specialised. Him and neville fernnado is of the same breed that is why they are together. sirisena/ranil are the bedfellows sharing the same ward run by rajitha in neville fernandis hospital. How did neville fernando raise this 3 bilion rupee hospital! Yes carry on you stupid cram the book medicine men. What doctors?